ORLANDO, FL - Aug. 21, 2006 -- Do you yearn to travel in a luxury motorcoach but can't afford to own one? No problem. Now you can live the luxury RV life for a week or more by renting. It isn't cheap, but it's not "forever," like owning such an RV. 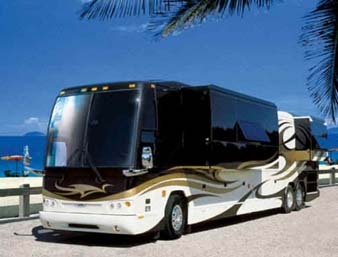 "Renting an RV is a viable alternative to owning," said Ron Bush of RV Luxury Coaches. "Sometimes, there is a special occasion or event that warrants the rental of such a vehicle. All Star Luxury Coaches manages more than 30, privately-owned luxury motorhomes for individuals who are not able to use them much. The company specializes in high-end, luxury RV rentals in nine states from coast to coast: California, Florida, New Jersey, New York, Maryland, Ohio, Pennsylvania, Delaware and North Carolina. "It's a win-win situation," Bush said. "The RV owners are able to recoup money from their purchases and renters are able to reap the benefits of these high-end, well-maintained, luxury coaches. We also strive to provide our customers with new, low-mileage, dependable motor homes backed by quality customer service." Customers come from all walks of life -- regular folks looking to live the good life for a week for two, celebrities, and corporate officials who rent them for NASCAR events. Safety is an important issue. 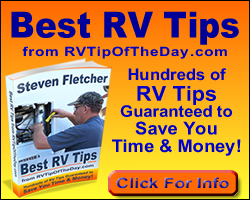 The company's staff instructs their customers how to use and maintain their rental RV. "If it takes up to four hours to teach a customer how to use an RV safely, so be it," said Robert Tischler, one of the company's owners. Coaches from 35 to 45 feet are available. Units are available from Beaver, Fleetwood, Thor, Alfa and Newmar. The company offers one-way rentals between cities that participate in the rental program. All Star Luxury Coach customers may choose from host from other services and products beyond renting the coach itself including campground set-up and tear-down, hotel pickup, and the use of items they'll need once aboard like linens, dishes, patio furniture, barbecue grills, folding chairs and other items. Automatic DirecTV Satellite, GPS and Mobile Internet are also options along with long-term rental discounts, cargo trailer and car-dolly rentals. The shortest rental term is for five days, which is the same price as a full-week. Rates range from about $2,750 to $6,500 a week plus local taxes. Customers receive 1,000 free miles and then pay 35 cents for each mile thereafter.